Hi there! 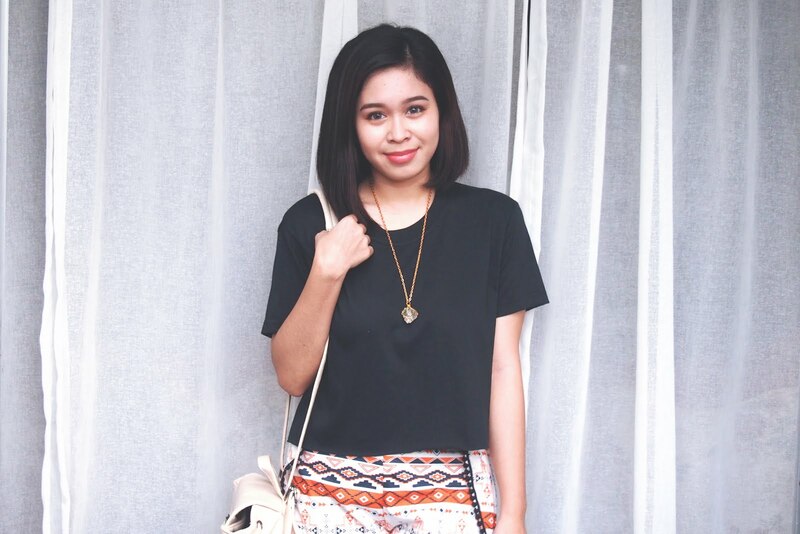 It’s another outfit post for today! I’ve been an unstoppable online shopper. I would most likely buy clothes online every month (don’t get me wrong I still save, I save a lot)... Coz’ I like supporting and buying from independent sellers like instagram sellers. Previously, I would always check out my shopping account (yes I’ve got a separate account that I use to follow brands, so I don’t miss out posts from people close to me ) before going to bed. That has lessened recently, coz’ I am broke, hahaha. I’m not employed anymore and am spending a lot in school! Good thing I’ve got savings! So guys, be sure to save!! So anyway... here’s the full look and the brands that I wore (legit and safe brands you can shop at instagram). Simple and casual yet stylish look great for weekends, hanging out with friends, etc. 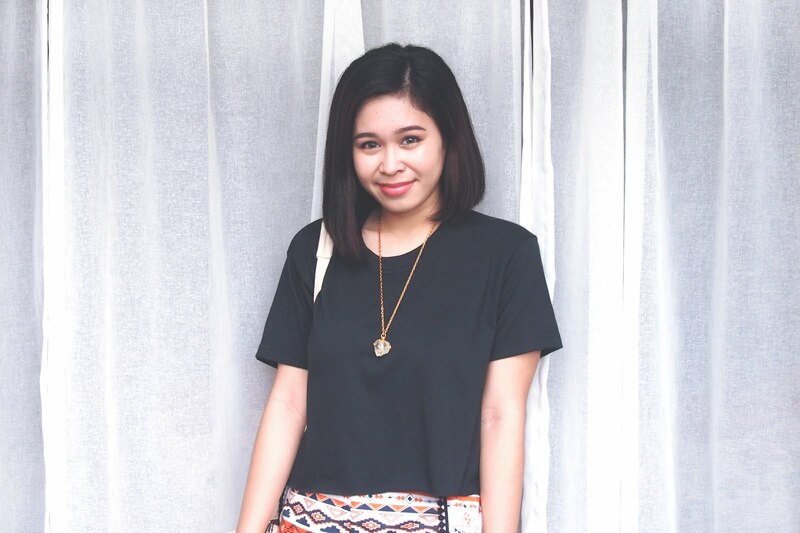 I mixed up my basic cropped tee from Pinasrepubliq (Have 2 other colors but I lost my white one, boo) with an cute printed aztec pom pom shorts from i-Fassion. For my bag, I chose this one from Forever Wishes that I can wear as a shoulder bag and a backpack. To add a bit more style I accessorized with a Stoneriver by Kim Sabala necklace because stone necklaces are soo magical! And finished the full look with a platform sandals that I ordered from Taobao - shopping haven for budget people like meh. Hope you liked it! See yah.